We are just over two weeks into the baseball season and it’s safe to say that most Brewers fans are happy campers these days. The team is off to their best start since 1987 and most importantly, winning games on the road. After back to back road sweeps of Boston and Philadelphia, the team returned to Miller Park and kept the ball rolling with a sweep of the then second place Pirates. Heading into a key three game set against the hated Cardinals, the Brewers stood atop Major League Baseball with a 10-2 record. The hot streak came to a halt as the Cards topped the crew 4-0 in game one of the series and followed with a 6-1 win in game two. With the first loss in ten games bringing us back down to earth, I’d like to take a look at the rest of the season and predict how I think the Division will look at season’s end. Taking into account that the season is 162 games long, I think it’s hard to assume the Brewers will win the division simply because they sit at 11-4 on April 16th. However, that’s exactly what I’m going to do. Here’s how I see the division standing after the Brewers’ final game against the Cubs on September 28th. 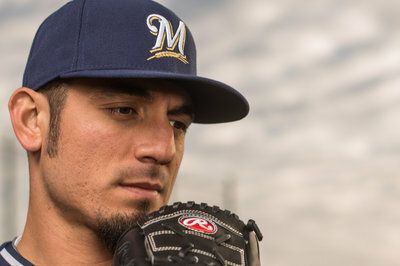 Can Matt Garza invigorate the pitching rotation? I think Milwaukee has everything needed to win the division – good pitching, solid defense, explosive offense, and a competent manager. With the addition of Matt Garza to the rotation, the pitching staff got a bonafide veteran pitcher who can eat innings and has experienced success within the division. This allowed the Brewers to place Marco Estrada and Wily Peralta in the four and five slots, respectively, which much better suits their capabilities. I think one of the biggest pieces to the pitching puzzle for the Brewers will be Will Smith. This was an excellent addition from Doug Melvin in the offseason and gives Ron Roenicke someone that he knows can go out and get good hitters out in the late innings. I think that Ryan Braun, despite a nagging thumb injury, is primed for his best season yet and obviously has a lot to prove. The club has a great nucleus of young but experienced players and each one of them knows how to hit the ball and play good defense. It’s unreasonable to expect the club to play as well as they have thus far over the course of an entire season, but I think 94 wins is attainable and I feel that will be good enough to win the division. Peter Bourjos ready to help the Cards stay on top of the division. The Cardinals are once again a great baseball club, but I see them falling short of the impressive 97 wins they achieved last season under Mike Matheny. Matheny is a great manager, and he’s got some great players on his team, but I feel the best has already come for many of them. Matt Holliday and Yadier Molina have passed the prime of their careers and while Peter Bourjos and Matt Carpenter are great young players, they’re not what Holliday and Molina once were. The starting staff should be good once again but the bullpen strikes me as iffy and I could see it as a weakness for the club. The Pirates have been an “up and coming” team for quite a while now and many could say they officially arrived last season, winning 94 games and making their first postseason appearance in 21 years. I think they’re a strong club that will contend again in 2014, but I don’t see them having the firepower to overcome the Cardinals or Brewers. The main issue I see in Pittsburgh is the starting rotation. I think Francisco Liriano is a good pitcher, however I don’t think a staff led by him is a postseason staff. They needed to acquire at least one top of the rotation starter to pair with Liriano if they were going to make me believe they could contend for the division, and they failed to do that. Andrew McCutchen is one of the best all-around players in baseball, but I don’t see enough offense around him to contend with the bats in the lineups in Milwaukee and St. Louis. The Reds have a lot of firepower in their offense. Joey Votto is always going to be an MVP candidate and Billy Hamilton might just steal a hundred bases. Brandon Phillips will be lightning with the glove as always and Todd Frazier is a young star in his prime at 28. I wouldn’t be surprised to see this team contend for the division, but again I question starting pitching. Johnny Cueto is a very reliable guy atop the rotation but Tony Congrani still has a lot to prove and Homer Bailey tends to be inconsistent. A lot of this team’s success will hinge on the health of Aroldis Chapman. The guy is lights out, there is no denying that, but when you’re throwing the ball 101 MPH there will always be reason for concern. I think that he can bounce back from getting hit in the head and be a great pitcher once again, but the team must hope for health in that young arm or they may face serious problems in the 9th inning. I was sad to see Dale Sveum canned in Chicago because I think he can be a good manager. However, this team is still a couple years away from contending for a playoff spot. Anthony Rizzo may finally show everyone why he’s received so much hype and Darwin Barney will continue to impress at second base, but I don’t see the potential for enough runs in this lineup to win more than 71 games. The team appears committed to a long term rebuilding process and could be a force to be reckoned with sometime in the future. 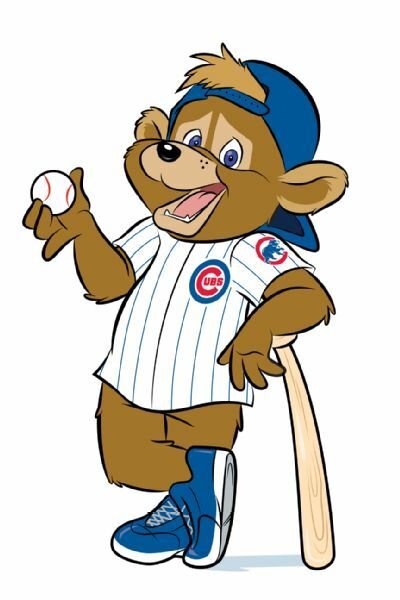 Unfortunately for Cubs fans, that day won’t come any time soon.